Infor, a leading provider of beautiful business applications specialized by industry and built for the cloud, today announced the availability of the upgraded edition of Infor CloudSuite Industrial (SyteLine). Infor CloudSuite Industrial (SyteLine) is an advanced, highly flexible solution that offers companies the functionality needed to remain competitive in today's complex, global environment. With Infor CloudSuite Industrial, manufacturing and distribution organizations have a solution that meets their business-specific needs with role-based information, a personalized user experience, familiar tools, common navigation and last mile industry capabilities built in. From the small manufacturer with mixed-mode processes up to enterprise-sized OEMs with a complex MTO and ETO business models, Infor applications deliver specialized tools to help leading organizations operate more efficiently. Do you limit the number of backup files you retain because of limited disk space? 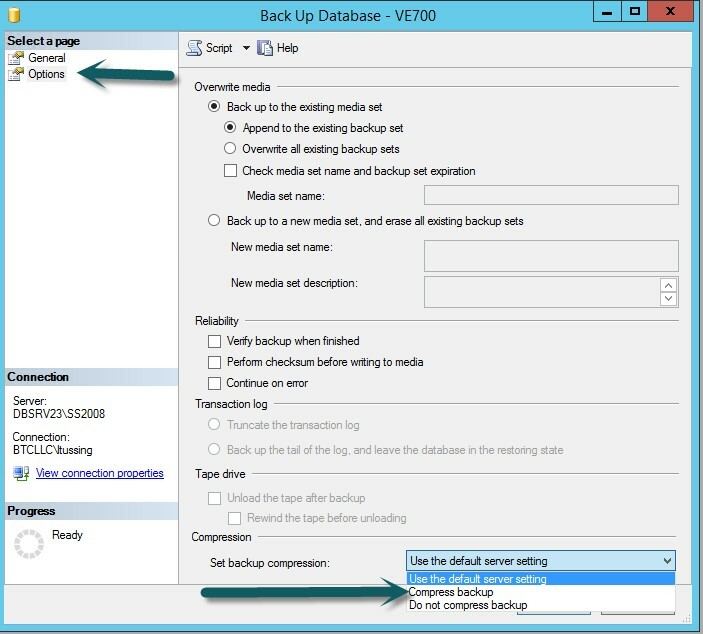 Did you know that you can significantly reduce the amount of space your .bak files need by selecting a simple option in your backup procedures? 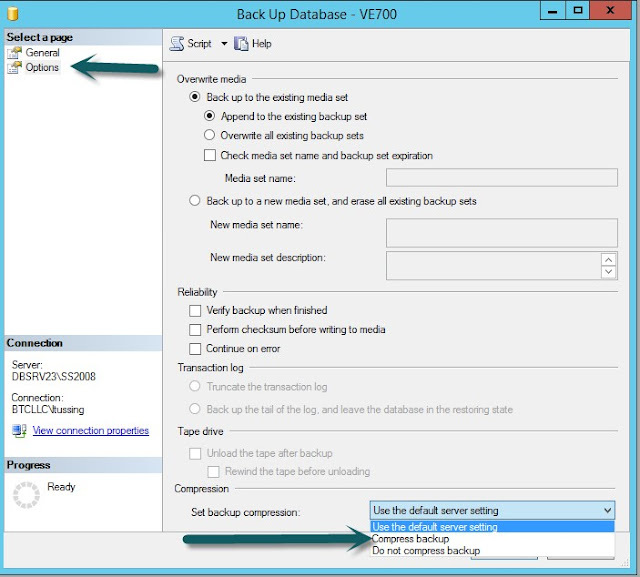 Within SQL Server backup, under "Options," there is a place to turn on compression. This will significantly reduce the size of the resulting backup file. NOTE: I have not seen it significantly increase the time it takes to complete the backup. I also have not had any problems restoring from a compressed backup file. Yes! This is available within your maintenance plans as well! Infor and IndustryWeek have teamed up to provide a preview of the top 17 issues affecting manufacturers in 2017. We have tapped manufacturing experts from the US and UK to share their insider views. And, as a nod to the break-neck speed of change in manufacturing, we have given our presenters a time limit of 17 minutes each. Can they meet the challenge of quick-thinking and rapid assessment of complex issues? Are you up to the challenge, too? The coming year promises to be a pivotal period in manufacturing. From the pressures of a global economy to issues around cyber security and protection of intellectual property to digitalization and the Internet of Things, 2017 promises to be a game-changing year.